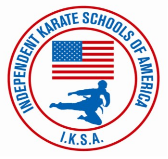 The Independent Karate Schools of America (IKSA) is a worldwide support and service organization for martial artists. It is known and respected throughout the martial arts community, providing international certification and recognition for instructors who have met the high standards of excellence required to become an IKSA member instructor. This Traditional American Karate school is a member of the IKSA. Check out the IKSA Update for Spring 2017! Includes details about the 23rd annual National Training Seminar in Brentwood, Tennessee; Sept 29/30, 2017, with guest instructor Grandmaster Bill "Superfoot" Wallace.